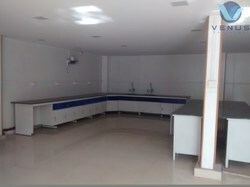 We are the Leading Manufacturer, Supplier and Exporter of Cleanroom Tables in Chennai, Tamilnadu, India. Offered by us is a wide assortment of Clean Room Tables. With confirmation with set industrial industrial specified norms and standard, we manufacture this product with world-class grade raw materials. Our esteemed clients highly prefer this Clean room tables sure that they can enjoy the benefits, the the product renders. Established in the year 2012, Luft Conditioning is the leading Wholesaler, Trader and Distributor of VRF System, Water Chiller and much more. 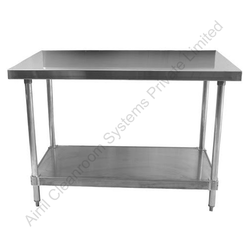 We are dealing in Cleanrooms Stainless Steel Sink Table. We have available all the latest and advanced infrastructural facilities to satisfy our clients with one of the most desirable quality materials in the market. We offer Stainless Steel Clean Room / Change Room Furniture including Apron Cabinets, Shoe Racks, Dies & Punches Cabinets, Lockers, Multi-purpose Trolleys and custom designed furniture.